People across the Czech Republic have marked 28 years since the ‘Velvet Revolution’ that ended Communist rule. Organisers said this year’s commemoration was especially important after the populist and Eurosceptic party of billionaire Andrej Babis won elections last month. 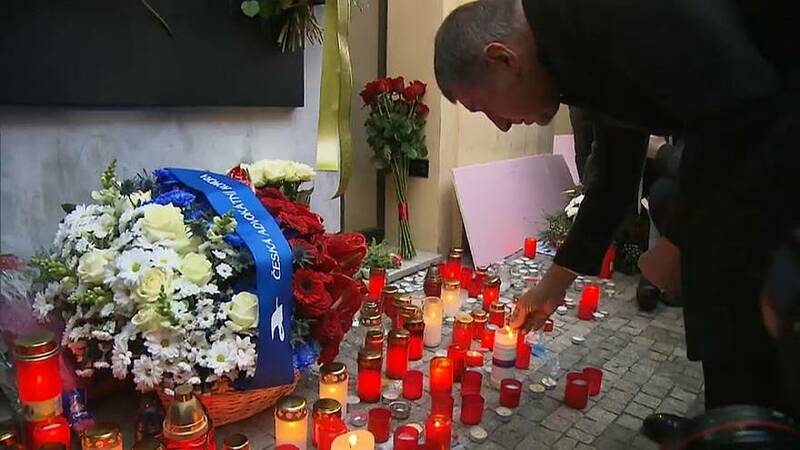 Babis, who’s tipped to become the next prime minister, laid flowers at a monument to the Velvet Revolution and reflected on the aspirations of the Czech people since the 1989 uprising. A far-right party doubled its share of votes in last month’s parliamentary election. Meanwhile Babis, who’s often compared to Donald Trump for his anti establishment rhetoric, faces allegations of fraud and questions over whether he had in fact collaborated with Czechoslovakia’s secret police. Most of the events were held on Narodni street, where police and student demonstrators clashed on November 17, 1989, triggering a series of events that ultimately toppled the Communist regime. Organisers hoped up to 100,000 people would gather in the capital’s Wenceslas Square on Friday evening to show their support for the liberal values of the 1989 Revolution.